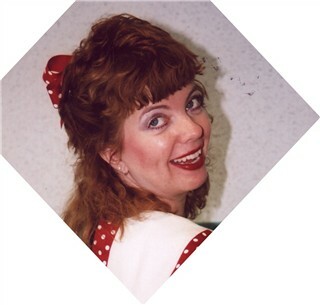 Paula Erlene Williamson began her act in Branson, MO. as "America's Yodeling Sweetheart". She is a 6-times National Yodeling Champion and recent international champion yodeler, representing America to So. Korea.She appeared with Joan Cusack on US Cellular' s National commercial, yodeling for her kids to come home, Another commercial had her yodeling for Arizona Casino winning "Bingo" where she was dubbed as "Arizona's Best Yodeler". Please view her "videos" for her commercials. 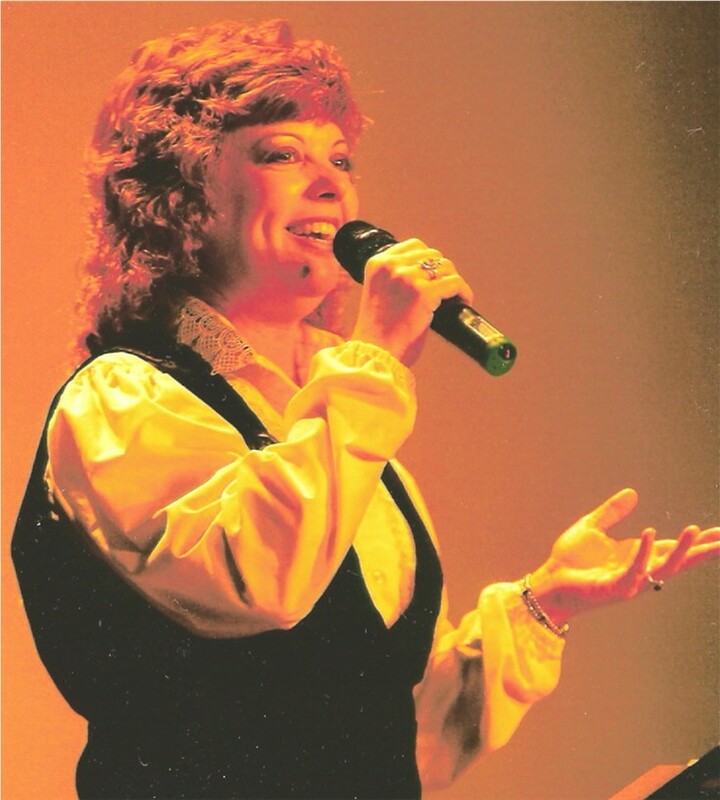 Paula has performed with Ermal Williamson in the "John Wayne Show" for over fifteen years. 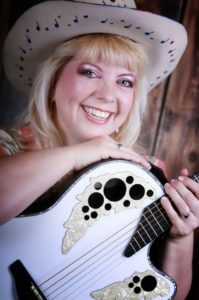 She brings her original songs, classic western songs and yodeling to her events. 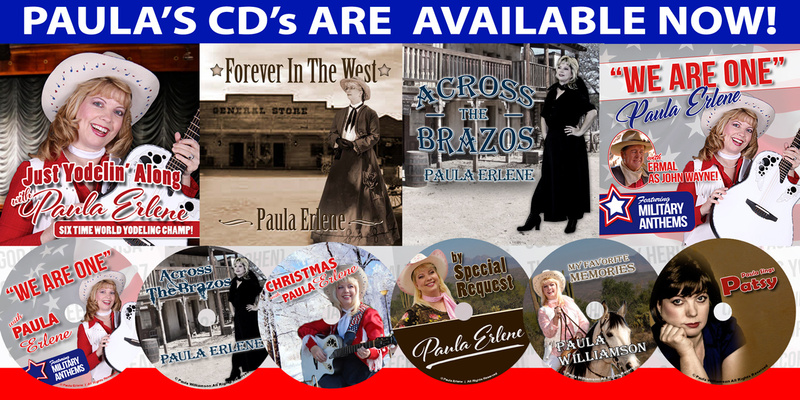 Paula Erlene could easily be considered the “Queen of female Yodelers” today because of her versatility and many appearances. She performed as a tribute artist to "Patsy Cline" in the “Hank and Patsy Revisited Show”. She now performs her new show, “From Patsy To Patsy." where she dresses as Patsy Montana and yodels your socks off live on stage! 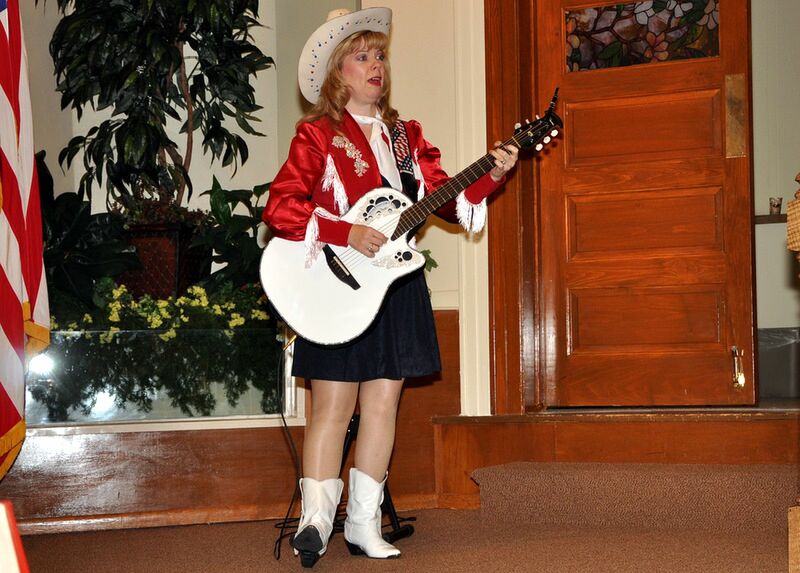 During the Second Half of the show she dresses as Patsy Cline and performs some of Patsy's most beloved hits. Her husband-show partner, Ermal provides the narration for both entertainers as Paula sings their music. She is an expert performer, doubling for "Lucille Ball" at events. 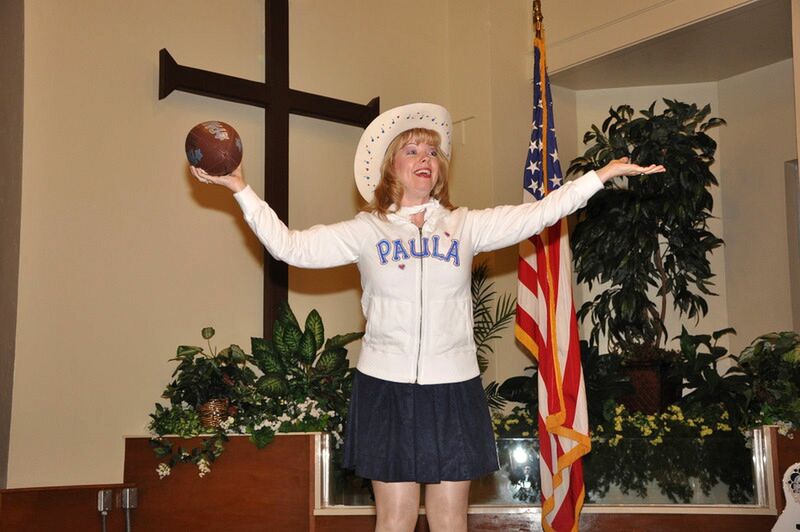 Paula performs as Katherine Hepburn, Maureen O'Hara and Lucille Ball in skits from Duke's movies. 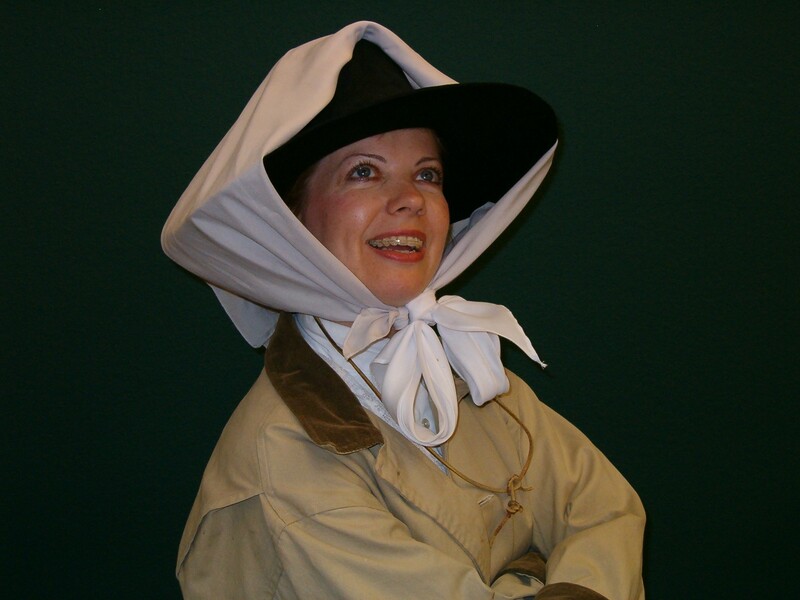 She is available as an impersonator of either character for "meet-and-greet", photo-ops and of course yodeling and singing your favorite Western songs at parties and special events. Ermal as John Wayne is the show, but Paula Erlene is the 'icing on the cake'! You are guaranteed a sizzling performance by Ermal & Paula; one you will never forget! For more information about Paula's CD Collection and to inquire about ordering, please fill out the form below. Paula will get back to you as soon as possible. Thank you!